Oh, yes, they’re back alright. Crepes are back. We had an entire week dedicated to them (that really ended up being almost 2 weeks), and then I forgot about this little number here… but it’s a goooood one. 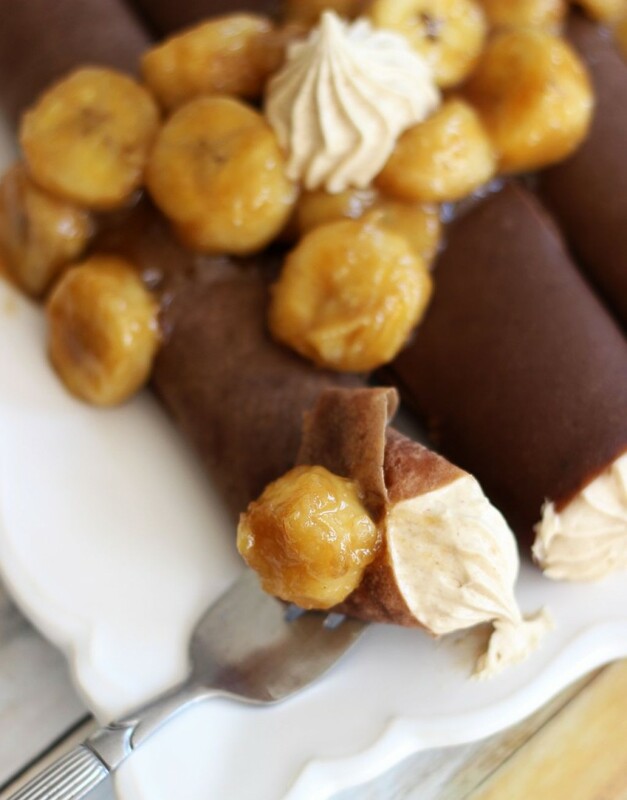 These Chocolate Crepes with Peanut Butter Marshmallow Filling and Caramelized Bananas are a lot of flavors in one. My reasoning was this: peanut butter pairs wonderfully with bananas, peanut butter is a fabulous match for marshmallow, and peanut butter is, of course, a power team with chocolate. Wouldn’t you then assume that by their mutual association with peanut butter, all of those things would go together well also??? That’s what I thought too. But I’m probably over-complicating things. That’s a lot of analysis for a plate of crepes. Any person with taste buds could guess that chocolate, peanut butter, marshmallow, and bananas are going to be spectacular together! These crepes are awesome! Of the things I’ve made and shared here on the blog, this is a top favorite. Plus, we get to enjoy dessert for breakfast again. I never tire of that. Never, ever. 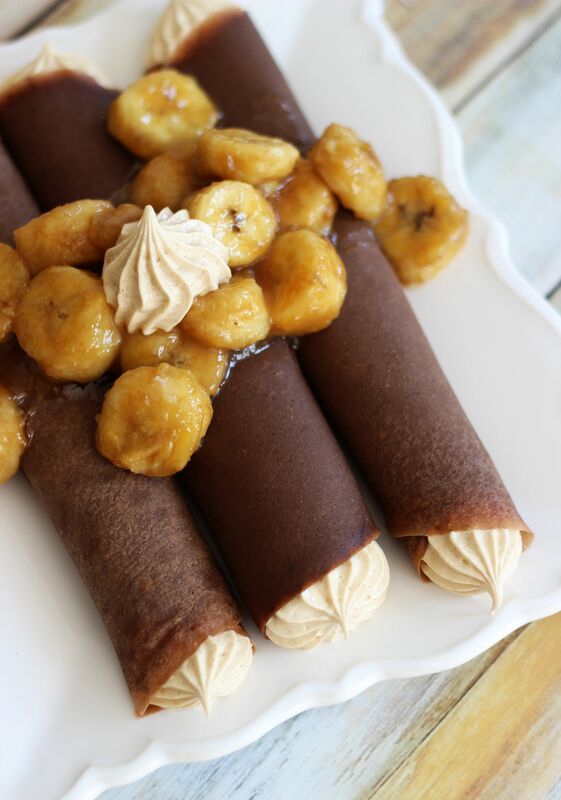 Sweet chocolate crepes are filled with a marshmallow frosting mixed with peanut butter. The marshmallow frosting makes the peanut butter filling light, fluffy, and sweet. 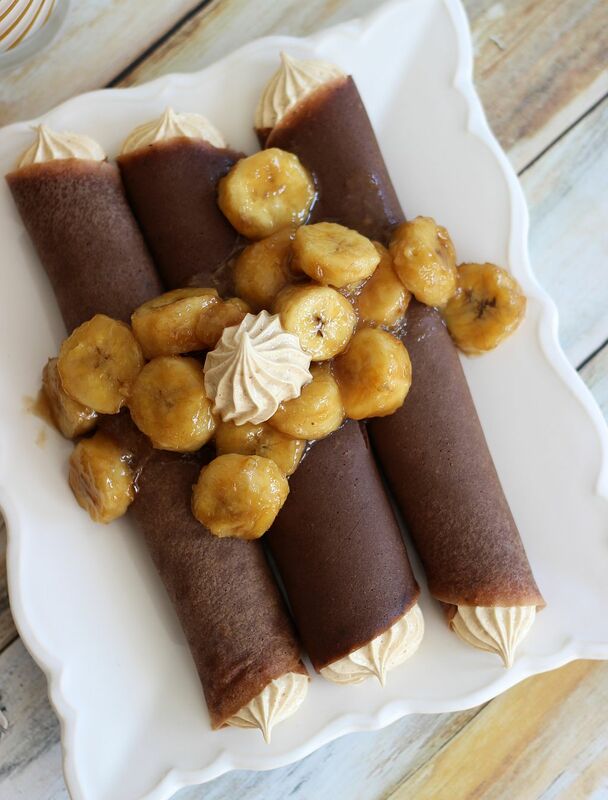 Topped with bananas that were caramelized with brown sugar and tons of vanilla. There is seriously something truly special about caramelized bananas. I can’t even put into words what a heated pan, vanilla, and brown sugar does to a few regular bananas. You’ll never want to eat a plain peeled banana ever again. 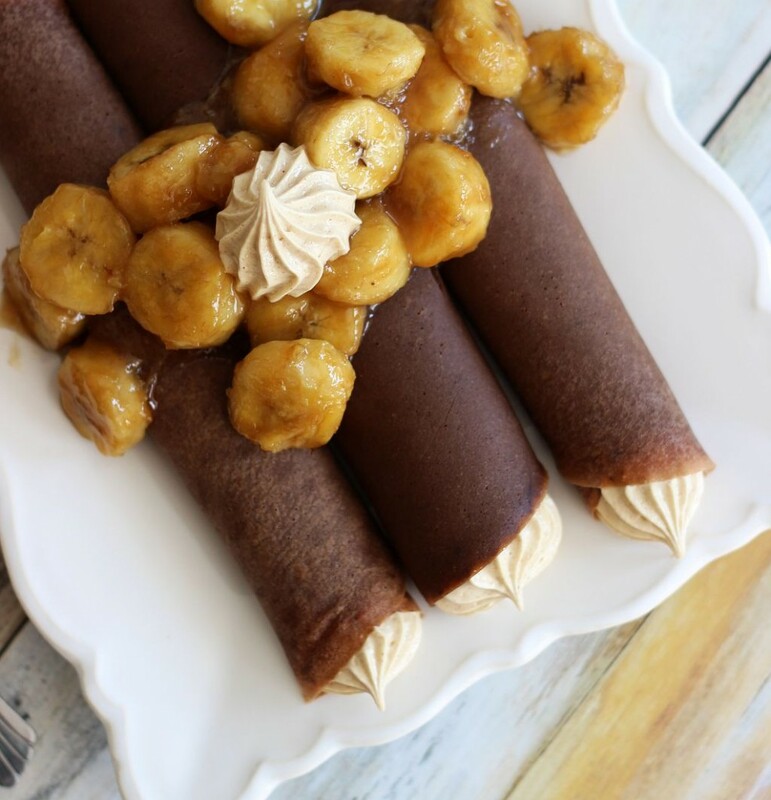 These crepes are more time-consuming than your typical breakfast, and better saved for a weekend morning, but totally worth the effort! Those look absolutely amazing Sarah! Love that combination, what a decadent breakfast! 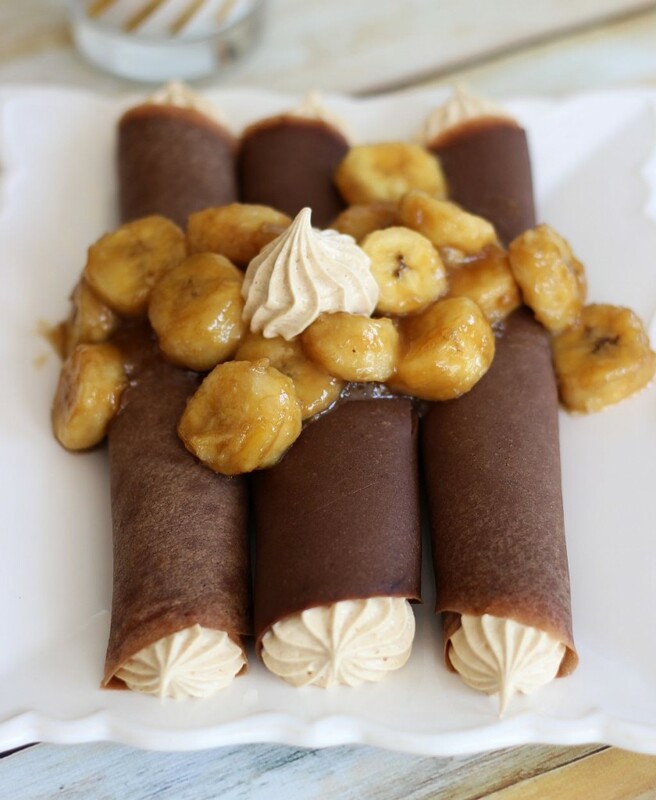 These crepes look gorgeous, Sarahe! 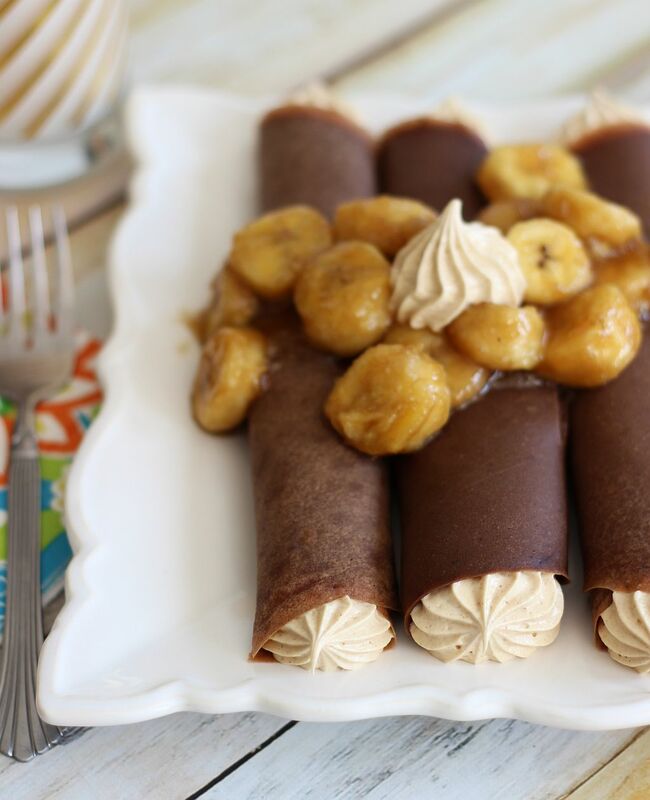 I love the chocolate and peanut butter combo and the caramelized bananas are the perfect touch! Gorgeous Crepes Sarah! Those are some wonderful flavors! So glad crepes are back! 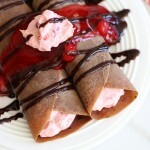 Love chocolate crepes and the filling sounds awesome! I don’t know if it’s just me, but I can’t see the actual directions. 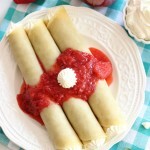 These look amazing and my daughter and I really want to try them out but I only see the ingredients list! There’s a scroll bar in the recipe! It’s really long, so you have to scroll! The recipe box has a scroll bar. By the way, I believe you can substitute marshmallow fluff for the homemade marshmallow, and that would be a little faster and easier if you wanted to take a shortcut! Hi these look amazing but I had one question. The filling is a peanut butter marshmallow filling but it doesn’t look like you use any marshmallow at all?? Am I missing something?? Or does the flavor just resemble a marshmallow taste? Hi Katie! I used a homemade marshmallow frosting to mix with the peanut butter. Traditionally, homemade marshmallow frosting from scratch is made from egg whites and sugar, surprisingly! It’s on top of these cupcakes, for example: https://thegoldlininggirl.com/2015/02/13/pink-champagne-cupcakes-with-marshmallow-frosting/. It’s a little more work this way, but I love how it tastes and how fluffy. 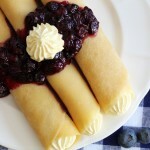 In the notes for this crepe recipe, I mention that you can substitute prepared marshmallow fluff too!!! That would be the easier option! Thank you for your question, I hope that helps! I am really looking forward to trying these in April! lol! It’s like the best of everything! I love breakfast anytime! Me too. We can make them! They aren’t hard! 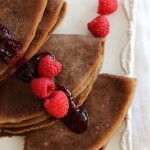 I have never tried making Chocolate Crepes! My favorite is either the ~lemon curd, lemon mousse, and raspberries~, or the ~Nutella, Chocolate Mousse, Raspberries (or Strawberries)~. My family will appreciate these! Oh good! I agree with you that lemon curd is incredible! I follow your logic completely! These look wonderful! Lol!!! Thank you so much, Carlee! OMG!! This looks incrediable!! Lots of goodness in a bite! Found you on Wine’d Down Wednesday!! I would love if you stop by my place tomorrow and share some of yor favorite things on My 2 Favorite Things on Thursday – Link party!! I’d love to have you!! Yeah, these are definitely dessert! Lol! Thanks so much! Hello??? Peanut butter marshmallow?? I love it! Thanks for sharing at the Thursday Favorite Things Blog Hop! Visiting from the Skip the Housework Link Party. Yum! This looks so good. Your crepes look so perfect and thin! Thank you for sharing the recipe! Crepes are so my jam! 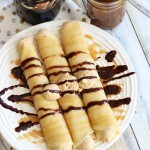 My husband makes them occasionally for me, I need to share this CHOCOLATE crepe recipe with him, so he can make me these! Thanks for sharing! one word…perfect!.. okay a few more words. This looks like heaven on a plate! Thanks for linking up with What’s Cookin’ Wednesday! Thanks for the party, Karly!